We’re excited to announce a late addition to the Fierce Festival 2017 programme thanks to support from the British Council Bangladesh. 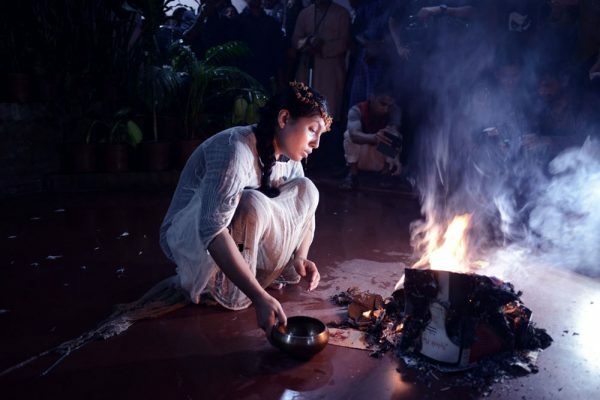 Performance Artist Reetu Sattar from Dhaka will present Sokol Dukher Prodip: the unsung song at the Birmingham Museum and Art Gallery (UK) as part of our event Be The Change: An Edwardian Tearoom Late. We met Reetu on a research visit to Bangladesh earlier this year. We can’t wait to welcome Reetu to Birmingham to present a new one to one performance. Next: $elfie$ gets a trailer!